Each chest is made of wood essence. 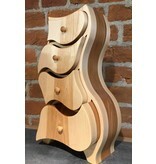 Inspiration "Beauty and the Beast"
"I specialize in creating stylized jewelery boxes in Canadian and Exotic wood. This idea came to me quite simply when I watched Walt Disney's "Beauty and the Beast". At some point in the film, everything moves in the castle, and you could see a wardrobe with unusual angles. 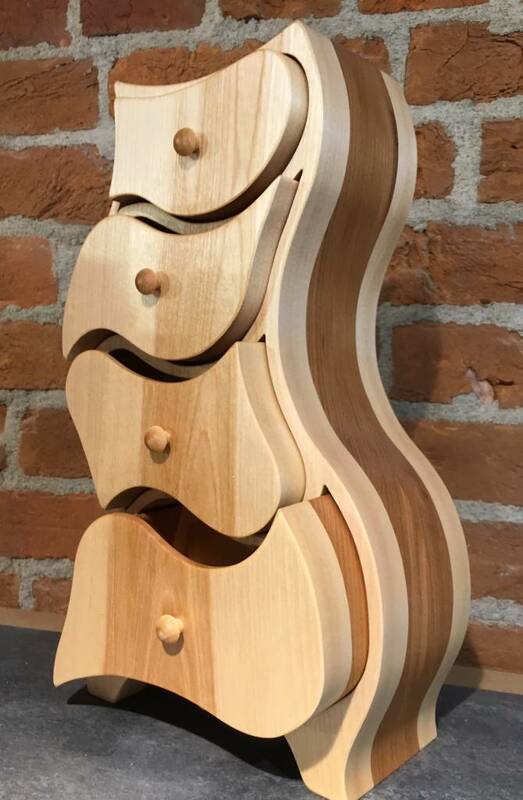 My concept of stylized jewelry box had just hatched.